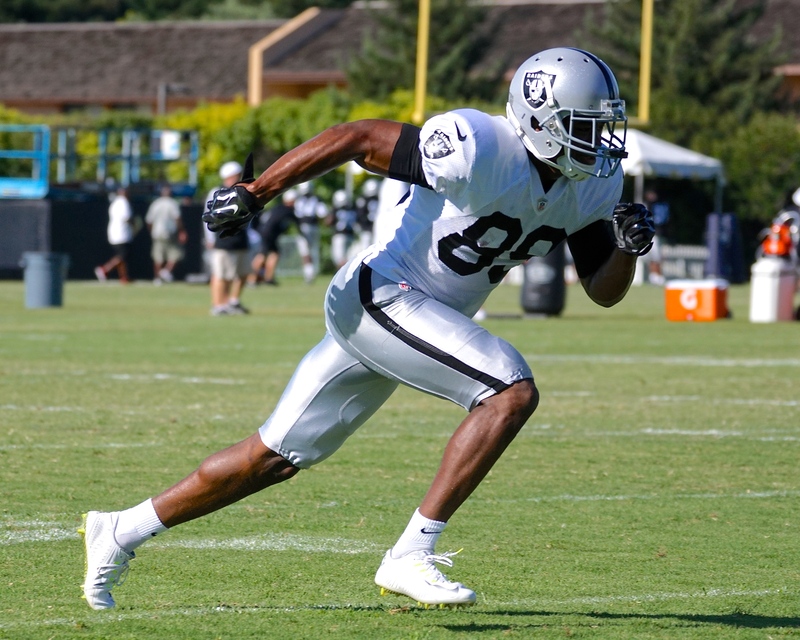 The Oakland Raiders were needing some good news following what appeared to be serious injuries to a number of key players. 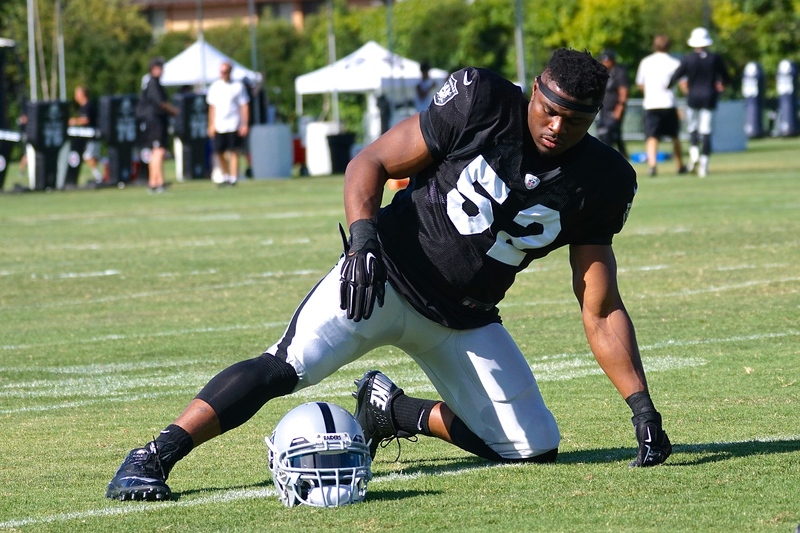 Following Sunday Raiders didn’t explain injuries in detail. 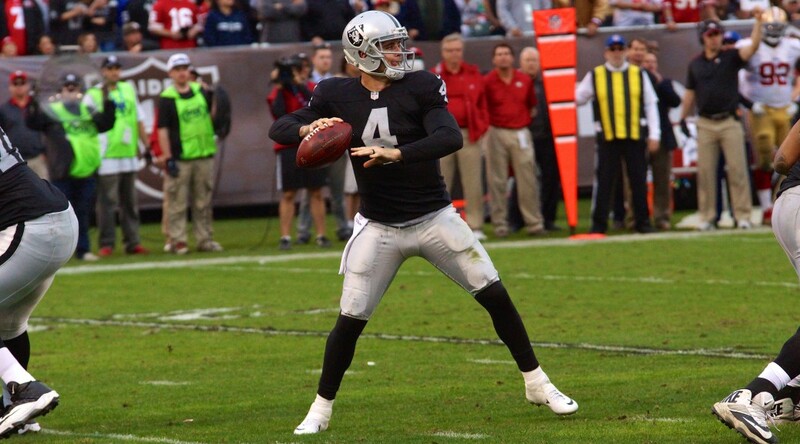 Carr was knocked out of the game in the second quarter of Sunday’s game against the Bengals it was later confirmed as a hand injury by the Raiders. 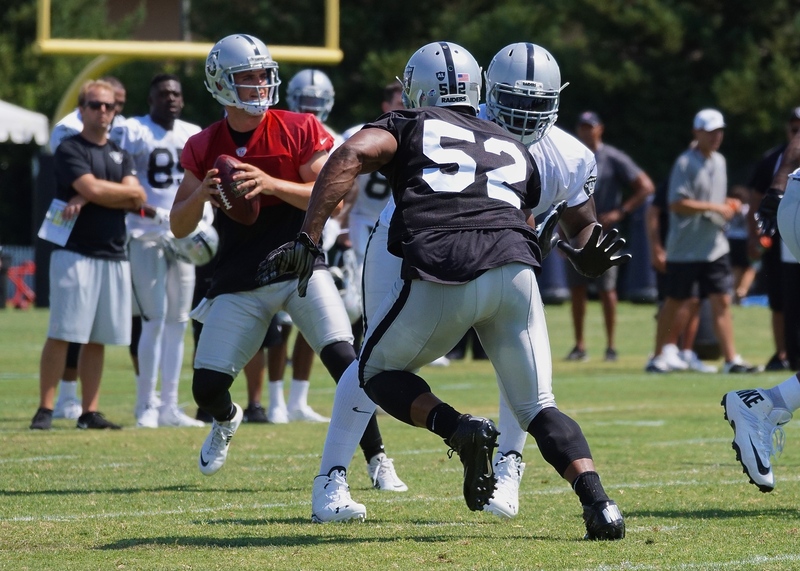 Mixed reports confused the situation through out the day. 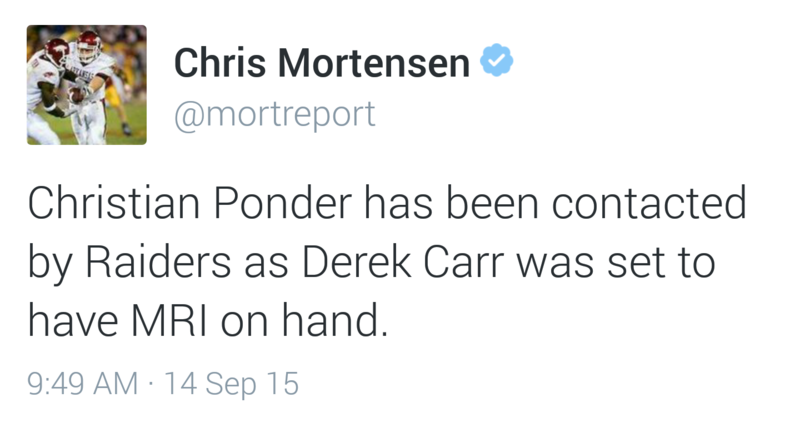 Mortensen would tweet out that Christian Ponder had been contacted by Raiders. 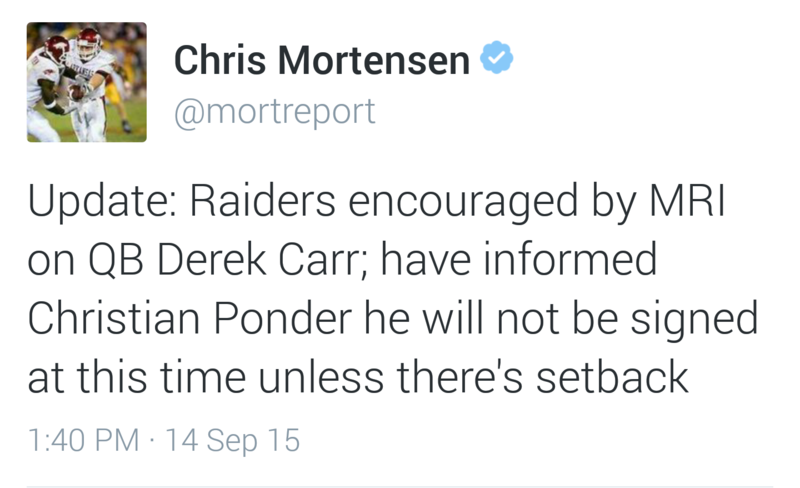 Then a few hours later Mortensen tweeted that Raiders had informed Ponder that he would not be signed due to encouraging MRI reports. 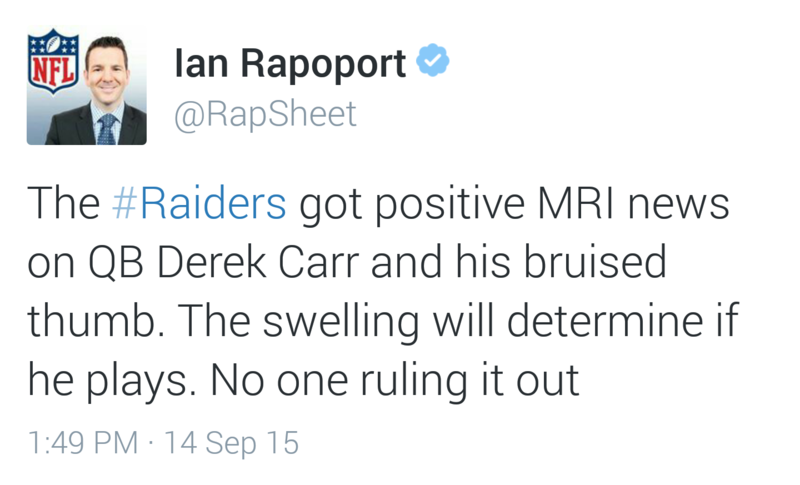 NFL’s Ian Rapoprt later confirmed the injury (Bruised Thumb), and said swelling would determine if Carr would play or not. 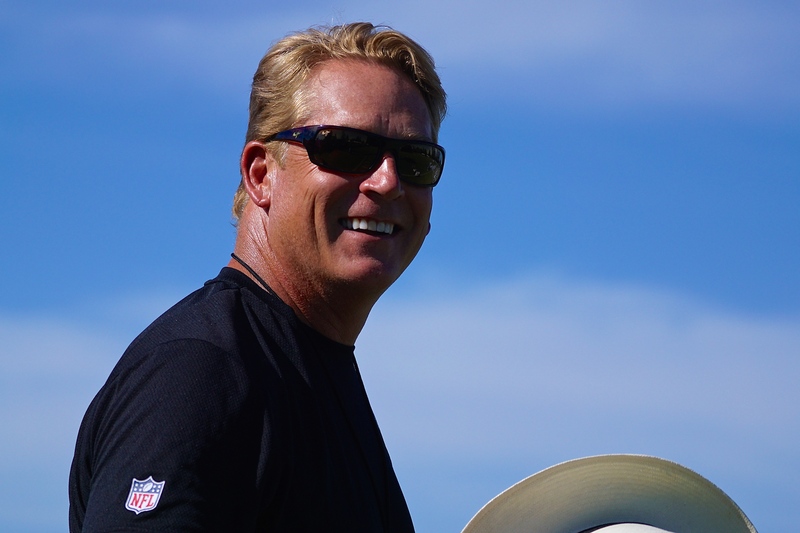 “We think he’s going to be OK,” Del Rio said in a press conference. 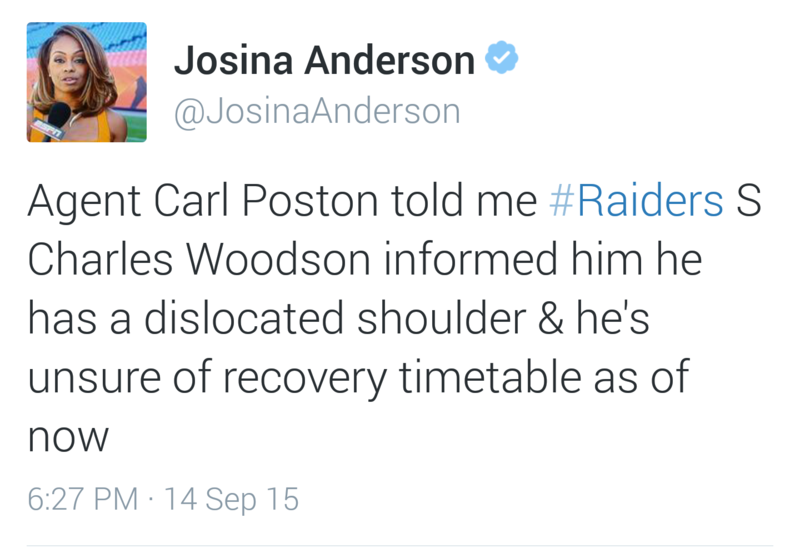 ESPN’s Josina Anderson later confirmed the injury, Dislocated Shoulder. 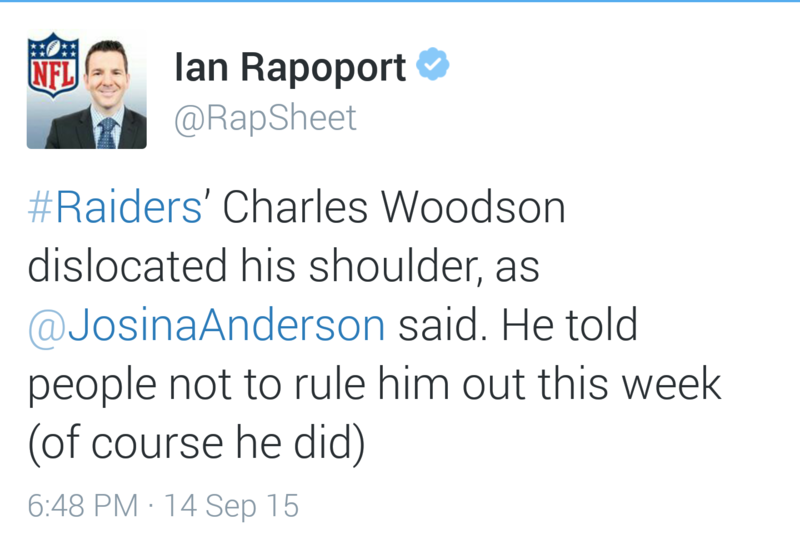 NFL’s Ian Rapoport later added to Josina’s report. 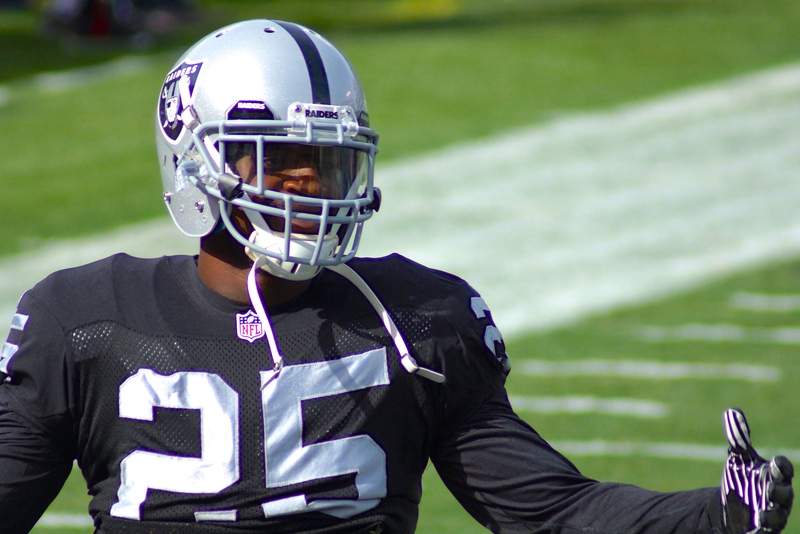 The intial reports were that Raiders feared Allen’s injury was a torn ACL. after MRi it was not to be the case. 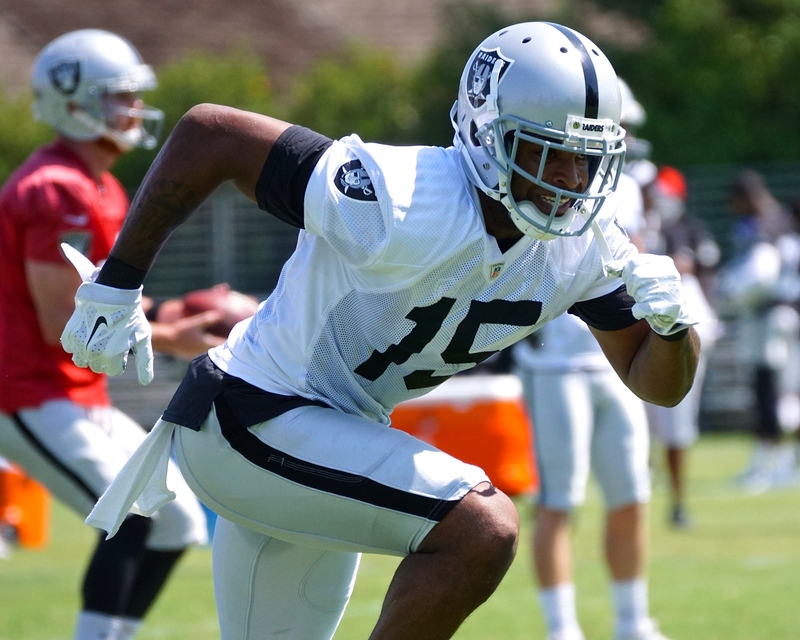 Jack Del Rio said in his presser that he thought Nate Allen could return this season. 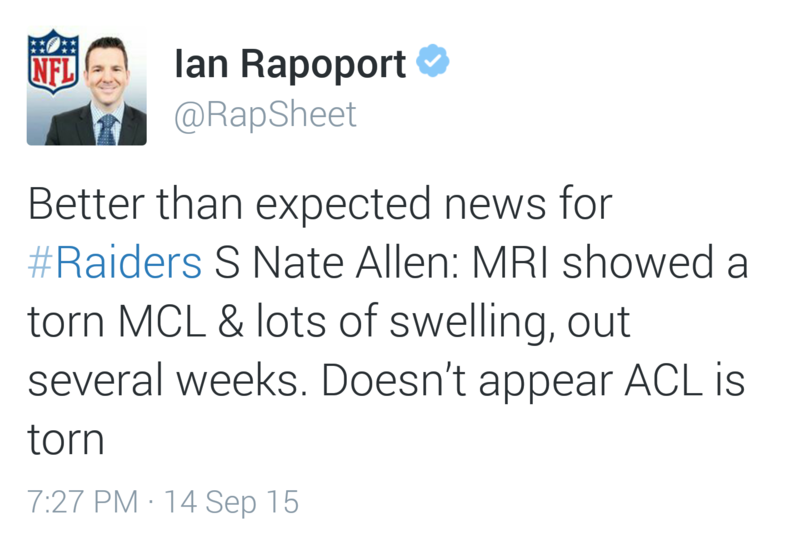 NFL’s Ian Rapport confirmed MRI report. We got no clarification except that it was an Ankle injury. 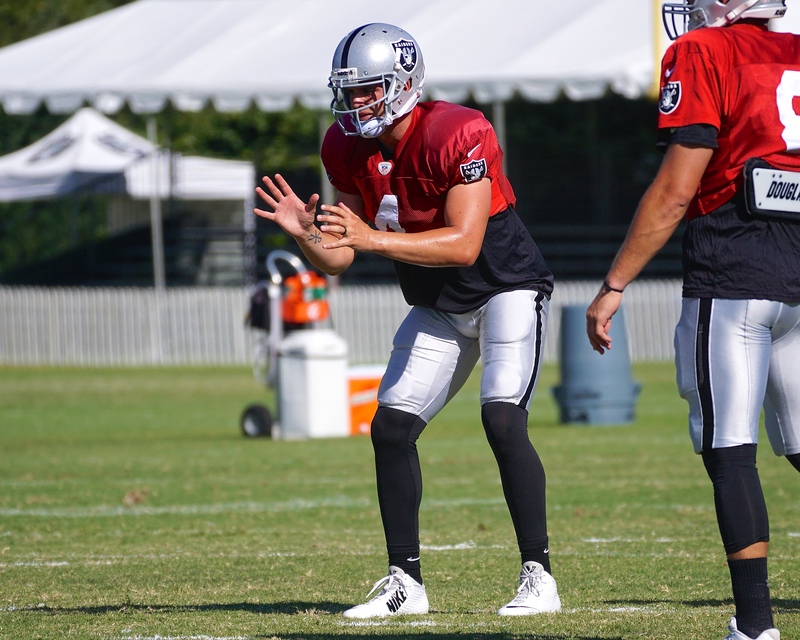 Napa Valley, California – NFL Network Insider Ian Rapoport visited the Oakland Raiders Napa Valley Training Complex on Sunday. 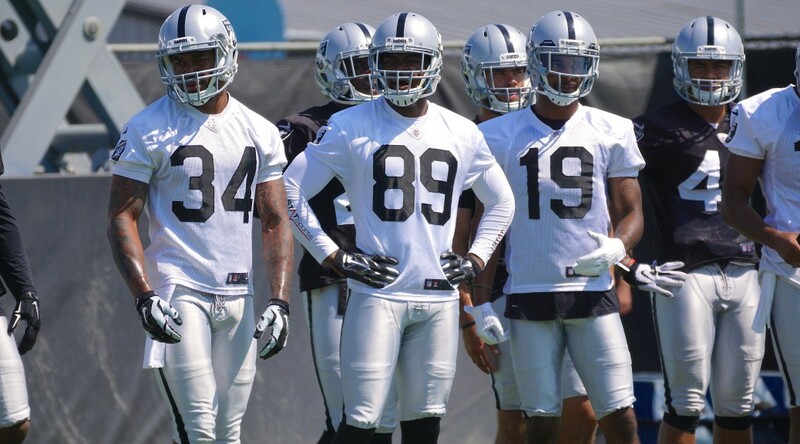 He made his assesment on Head Coach Jack Del Rio, quarterback Derek Carr and the rest of the Silver and Black. 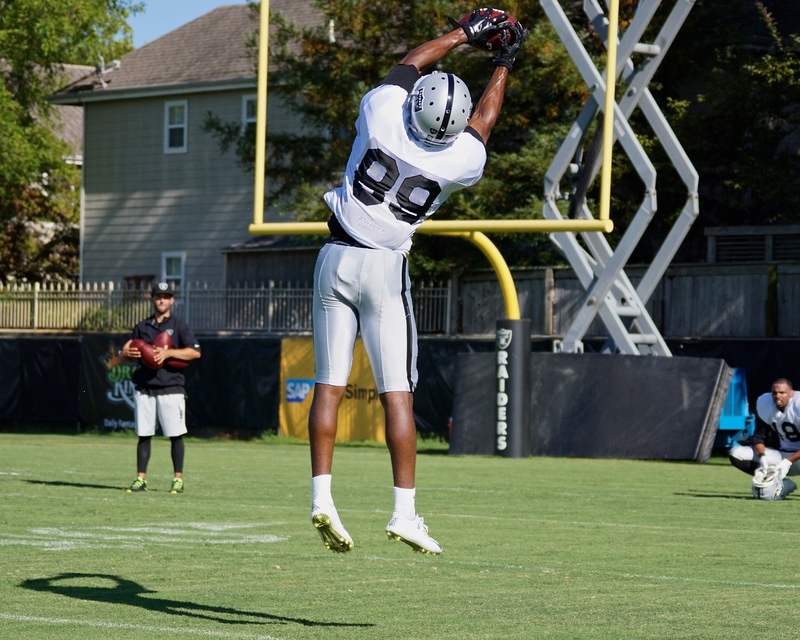 Prior to the start of practice, Rapoport took some time to talk with Raiders.com and spoke about the 2015 outlook for the Raiders, the additions that General Manager Reggie McKenzie made during the offseason and more.